When I first got involved with the mystery world nearly twenty years ago, I noticed something I thought a bit odd. Mystery writers seemed to love the name Kate. Between published books and unpublished manuscripts I read in writing workshops, I saw fictional Kates everywhere. Then I became program chair of Malice Domestic, and it seemed that practically every third book of a registered author had a protagonist named Kate. I remember thinking one day that you couldn't swing a dead cat (or a nice live cozy one, by the fire, on the cover of a mystery) without hitting an amateur sleuth named Kate who was out to save the day. Even today, we have lots of Kates out there: Dana Stabenow's Kate Shugak, Laurie King's Kate Martinelli, Linda Castillo's Kate Burkholder, and Frances Brody's Kate Shackleton, just to name a few mystery sleuths. Sarah Winston solves crimes in Ellington, Massachusetts, when she's not throwing garage sales (and sometimes while she is). This Agatha-nominated amateur-sleuth series is written by Sherry Harris. Sarah Booth Delaney solves crimes in Zinnia, Mississippi, when she's not dealing with a bossy ghost. This series about a southern belle turned private eye is written by Carolyn Haines. Sarah Brandt solves crimes in old New York when she's not delivering babies. This Edgar- and Agatha-nominated series about a midwife turned amateur sleuth in early twentieth-century Manhattan is written by Victoria Thompson. 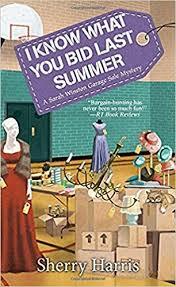 Sarah Grayson solves crimes in North Harbor, Maine, when she's not running her refurbished-goods shop. This series about an amateur sleuth who solves crimes with her cat is written by Sofie Ryan. 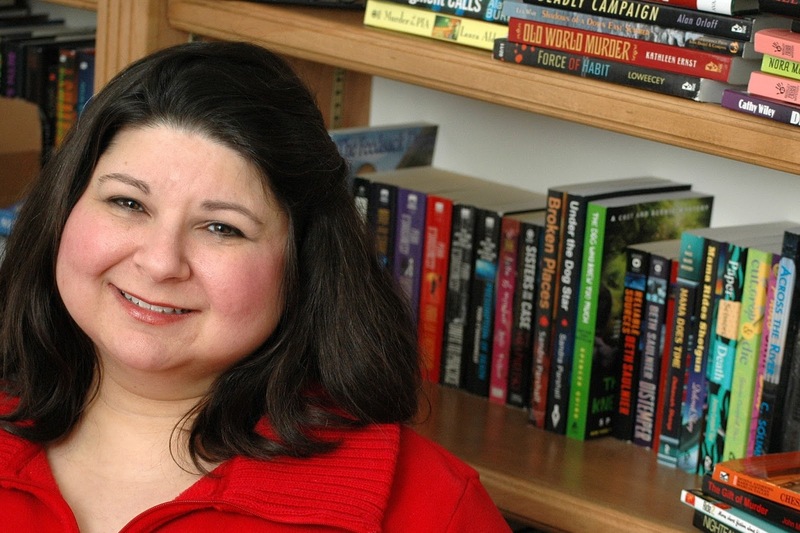 Dr. Sara Linton gets involved in darker crimes (or at least darker on paper) than the previously mentioned protagonists. This series about a pediatrician and coroner is set in Grant County, Georgia, (before the character moves to Atlanta as part of a second series). This Barry- and Macavity-nominated series is written by Karin Slaughter. Sarah Kelling solves crimes with her art-fraud investigator husband, Max, in Boston. This Anthony-nominated series was written by the late Charlotte MacLeod. Sarah Blair solves crimes in Wheaton, Alabama, when she's not working as a law firm receptionist. This series about an amateur sleuth is scheduled to debut this December. 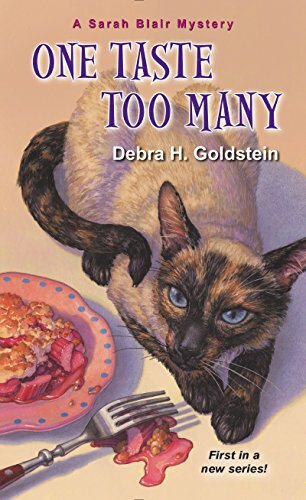 It's written by Debra H. Goldstein. I know there are tons more Sarahs (and Saras) out there who are searching for clues as we speak. Dear reader, why do you think Sarah has become so popular for the name of a sleuth? What's your favorite name for a sleuth? (And why?) And please weigh in with names of Sarah mysteries I've missed. Queen Kate is dead (or at least less popular than before). Long live the new queen, Sarah! It's interesting to think about this, Barb, because as we become more diverse, you'd expect more names to appear, but it seems to be the opposite. I know I always struggle to come up with names for my supporting or minor characters, and even keep a spread sheet so I don't duplicate too often. It's hard to come up with a name that's distinctive but doesn't call too much attention to itself, and still tries to capture the character's personality. Some day I'll get better at it. I have a "Sarah" as a major character in my last book, but she's not the sleuth. I guess that's fortunate, isn't it? It is truly amazing, and I noticed the similarities myself.In fact, I often have several books 'open' at any one time and although I pride myself on never confusing the stories,I have to stop and orient myself to WHICH Kate or Sarah each story belongs to when I pick one up that has been languishing in a car or elsewhere. Since I assume the writers read their fellows' books, and with all of their own imagination, you'd think they would like to diversify a bit. My middle name is Sarah. When I was 40-something I went to court & changed my first & middle names, which I always hated. Should have done it before. I've heard of "Kate" characters. They run rings around other people. Then there's the "Mary Sue," the "Jenna" & I don't know who all else. I recently named a minor character Kelly, then renamed her Sarah, then realized another character formerly named Selene had become Savannah. I don't think Sarah and Savannah can coexist in such close quarters, but I like both names. Sarah could become Sarah Jo, but that's not quite right. Thanks to you, Barb, I won't be renaming her Kate. What a fun post! Just when I was thinking there was nothing left to write about...grin. Barb pulls it off. Yes, the names, the names. My most prolific protag is Gina, natch, as she's mob. My latest one - also with a mob past - is Lucy (Lucia.) Yes, I noticed the Sara creep. And now that you have made us aware, I will never use Kate or Sara. See the influence you have, Barb? Steve, I've seen a number of characters with unusual names. I wish we had more than anecdotal reports like mine to see what's really going on with names. Tonette, I've also experienced reading two books at once with the same names and having a hard time remembering who's who sometimes. Catherine, Chiara is certainly unusual. How did you choose it? Kathy, really like the name Savannah. And Mel, it is hard to come up with ideas, isn't it? I'm happy to help you avoid being trendy.